Dr. Mitchell Terk is recognized among Castle Connolly Top Doctors® for Jacksonville, FL region in 2015. 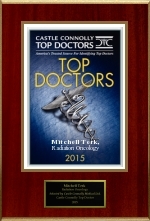 A Jacksonville, FL Board Certified physician specializing in Radiation Oncology, Dr. Mitchell Terk, is a Castle Connolly Top Doctor for 2015. Jacksonville, FL December 10, 2015 - Castle Connolly Medical Ltd., America's trusted source for identifying Top Doctors, has selected Jacksonville's Radiation Oncology specialist Dr. Mitchell Terk for inclusion in its highly selective list of Castle Connolly Top Doctors this year. Castle Connolly Medical Ltd. publishes its list of Castle Connolly Top Doctors® at www.castleconnolly.com, as well as in a wide variety of printed directories, partner publications and on partner/affiliate websites. All told, more than 44,000 physicians - approximately 5% of the nation's licensed physicians - have been selected as Castle Connolly Top Doctors in their regions for their specialties. Castle Connolly Top Doctors® are selected by Castle Connolly Medical Ltd. after being nominated by peer physicians in an online nomination process. Nominations are open to all board certified MDs and DOs and each year tens of thousands of doctors cast many tens of thousands of nominations. Honorees are selected from the nominees by the Castle Connolly physician-led research team based on criteria including their medical education, training, hospital appointments, disciplinary histories and more. Castle Connolly Medical Ltd.'s President and CEO Dr. John Connolly has this to say about Dr. Terk's recognition: "Only a small percent of physicians are selected to be Castle Connolly Top Doctors®. Our goal is to make it easier for an average person to find the right doctor for them in what can be an overwhelming process at a difficult time in a person's life. Dr. Terk was nominated by physician peers and selected by our physician-led research team at Castle Connolly Medical Ltd. Selection is an impressive accomplishment worthy of recognition. My congratulations to Dr. Terk." 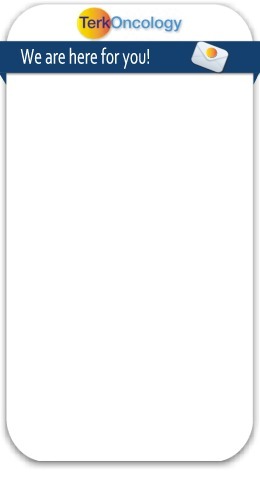 This press release was written by American Registry, LLC and Castle Connolly Medical Ltd., with approval by and/or contributions from Mitchell Terk.